Prometheus promotes a Pull based approach rather than Push, therefore App Metrics does not include a reporter to push metrics, but rather supports formatting metric data in Prometheus formats using the App.Metrics.Formatters.Prometheus nuget package. 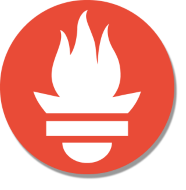 App.Metrics.Formatters.Prometheus supports both Prometheus’s plain text and protobuf formats. See the metrics formatting documentation on more details around outputting metrics using a specific formatter. With the above configuration, /metrics-text will return metrics in Prometheus plain text format and /metrics in Prometheus protobuf format. See the ASP.NET Core documentation for more details on integrating App Metrics in an ASP.NET Core application. Install the App Metrics Grafana dashboard.